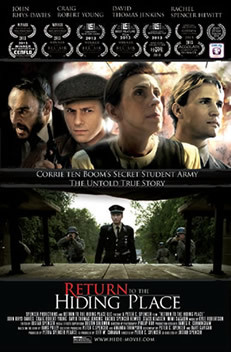 Overview: When Corrie ten Boom realizes the Nazi empire is systematically rounding up Jewish people and sending them to concentration camps, she uses her house as a hiding place and helps form a teenage army to stand up against this tyranny. This incredible true story is a thought-provoking and fast-paced movie about courage, sacrifice and faith in action. 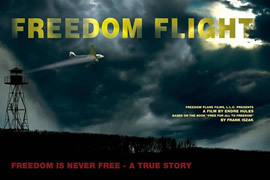 Overview: Based on Frank Iszak’s heroic escape on 13 July 1956, Freedom Flight takes place during the Cold War when seven brave students, in a desperate attempt to escape the brutalities of a totalitarian regime, designed a spectacular way of crossing the impenetrable Iron Curtain: by hijacking a Hungarian domestic commercial flight, overpowering the crew, disarming the secret policeman on board, evading the Soviet MIG 17 fighter jets and landing in West Germany. Overview: During World War II in Nazi occupied Warsaw, Polish nurse Irena Sendler secretly served in the Polish Underground. Assisted by two dozen Żegota members, Sendler heroically smuggled approximately 2,500 Jewish children out of the Warsaw Ghetto, provided them with shelter and false identity documents and saved them from the Holocaust. Overview: This movie is about the creative and thought-provoking friendship between C. S. Lewis and J. R. R. Tolkien. Enter the world of these brilliant minds as Tolkien struggles as a writer and Lewis searches for the truth. Told over several decades, this story chronicles these two literary giants as they discuss and debate philosophy, politics, and man’s search for the truth. Experience social change, world history, the Inklings and how Lewis and Tolkien brought the world Narnia and Middle-Earth. Britfield & the Lost Crown is a fast-paced adventure novel that transports the reader from the smoldering crags of Yorkshire, through the heart of England, and finally to the magnificent shores of Dover. Creating an interactive world of mystery and adventure, culture and education, Britfield is about friendship, family, loyalty and courage. The first in a five-book series, Britfield intends to educate as well as entertain readers by weaving geography, literature, architecture and history into the plot. Children will not only embrace the action- packed chapters, but will enjoy the authenticity of a story with real locations and realistic events: no one flies, has magical powers or has a thirst for blood. Britfield builds with intensity and intrigue, sacrifice and revelations. Book II takes place in France and Switzerland; Book III, in Italy; Book IV, in South Africa; and Book V, in China. A fast-paced 90-minute theatrical play, An Unlikely Friendship is about the dynamic, creative and thought-provoking friendship between C. S. Lewis and J. R. R. Tolkien. Enter the world of these brilliant minds as Tolkien struggles as a writer and Lewis searches for the truth. Told in a 3-Act structure over several decades, these two literary geniuses discuss and debate philosophy, politics, mythological fantasy and man’s search for the truth. Experience social change, world history, the Inklings and how Tolkien and Lewis introduced the world to Narnia and Middle-earth. In association with Horizon Prep, Rancho Santa Fe, Devonfield will be conducting a one week summer course introducing students to the world of film. This dynamic course will cover the real world of movie making, from writing a compelling story and hiring a talented cast to production, acting, marketing and worldwide distribution. The approach behind this program is to create a model that will eventually turn into a full semester class and finally into an entire film and media program for Horizon Prep. Once this model has been finalized, we plan on sharing it with Schools and Colleges nationwide. How do you write a great story and movie script? With 20 years in the film industry, Chad Stewart will teach you how to harness your ideas into a powerful story and professional screenplay. We will study classic films and global blockbusters to learn the tools of crafting an engaging and timeless story for the world to watch. How are films developed? Explore the process with Producer Mark Joseph as he shares his experiences working on The Chronicles of Narnia: The Lion, The Witch and the Wardrobe, The Passion of the Christ, Reagan, and his new release Max Rose. Learn the different stages of filming and production, finding distribution and worldwide marketing. This comprehensive class covers how to survive in Hollywood; creating dynamic and believable characters; on-set film techniques; promoting your career, and balancing your work and personal life. Assembling a movie project is one of the hardest parts of filmmaking. In this dynamic class you will learn how to get your film financed, create a business plan, develop a budget breakdown and discover how to properly “package” your film so you can take your project to studio heads or private investors. Learn from a pro who works at Outreach, Inc., the largest faith-based advertizing company in the world. This workshop draws on years of experience in successfully promoting faith-based films, including The Passion of the Christ, The Chronicles of Narnia: The Lion, the Witch and the Wardrobe, Courageous, Man of Steel, and many more. Understand the importance of church engagement, marketing channels and media strategies.